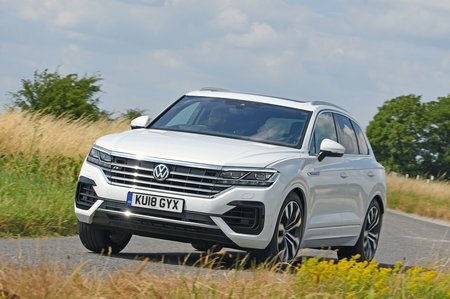 Volkswagen Touareg 3.0 V6 TDI 4Motion R Line 5dr Tip Auto 2019 Review | What Car? What Car? will save you at least £4,128, but our approved dealers could save you even more. This is essentially the same engine but with the turbochargers boost tickled for a total output of 282bhp. It’s certainly quick, but you have to wait for the gearbox to finish scratching its head after you introduce the accelerator pedal to the floor mat. The lesser engine is powerful enough and more responsive to boot.